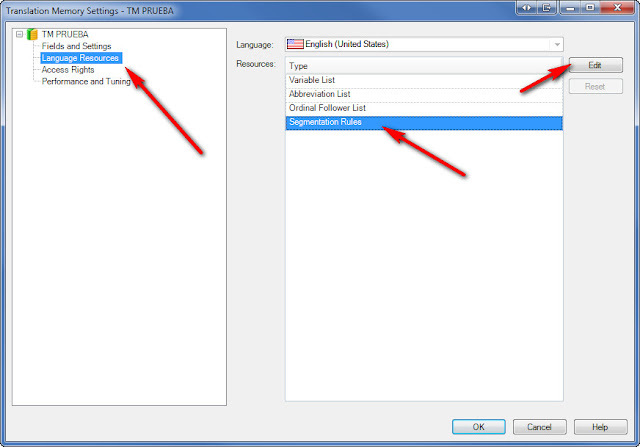 In a previous post, I discussed how to add a Tab segmentation rule to Studio. 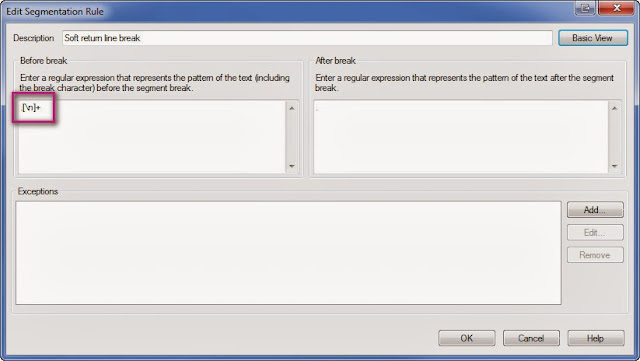 That is pretty straightforward, as the Tab is one of the segmentation options offered in the list of Break characters. But what if we want to add a new segmentation rule for soft returns? 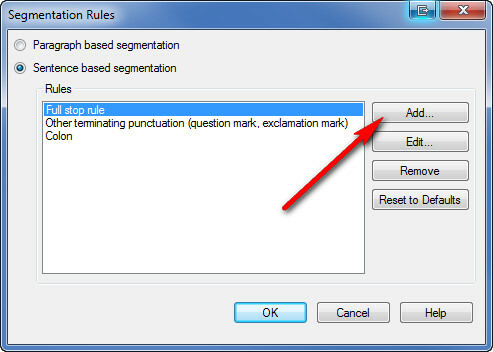 No such option in the dropdown menu, so we need to use a Regex expression. The steps are detailed below. To create a segmentation rule for soft returns, add a name in the description field, choose "Anything" in the "Before break" dropdown menu and "Anything" in the "After break" dropdown menu. 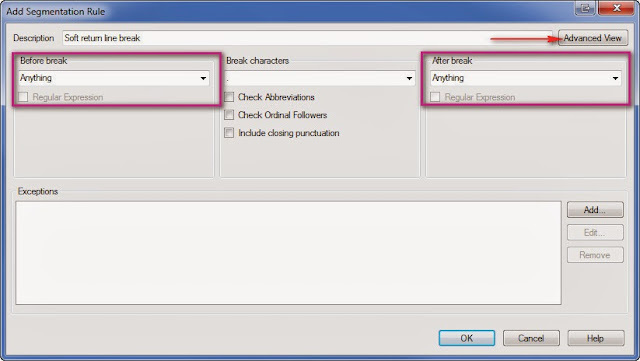 Since a soft return is not one of the options in the "Break characters" menu, we need to go to the Advanced View by clicking the button to the right of the Description. Disclaimer: My knowledge of Regex is extremely limited; I got this expression from one of Paul Filkin's posts in a forum and simply typed it in. Thank you, Paul! After this, click OK several times to close all the open dialog boxes, and that's it, from now on, in files processed with this TM, a new segment will be created whenever Studio encounters a soft return. 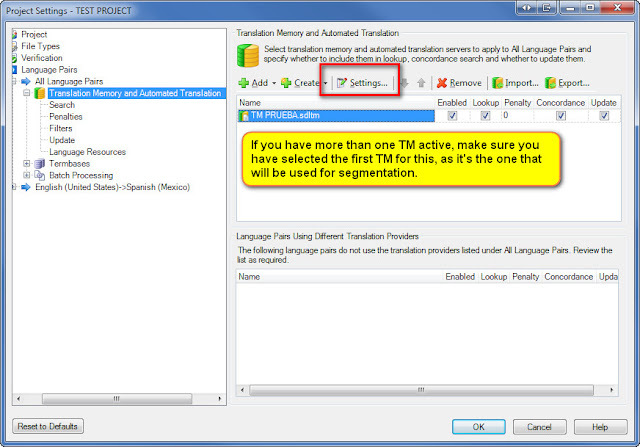 Segmentation is based on the first (uppermost) TM in your list. 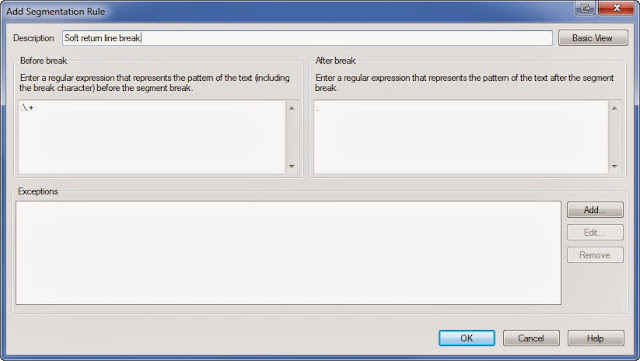 Modifying a TM other than the uppermost will not give the expected result. Move your TM up as necessary.